…performed at a banquet table, restaurant table or group standing at an event. 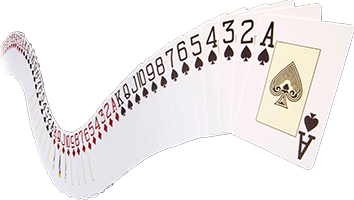 Often known as table magic or strolling magic they both refer to the close-up magician performing at a reception or party event. Nothing is set up before hand, no camera tricks and no suspicious looking props, top hats or flapping doves. Close up magic is the real deal. 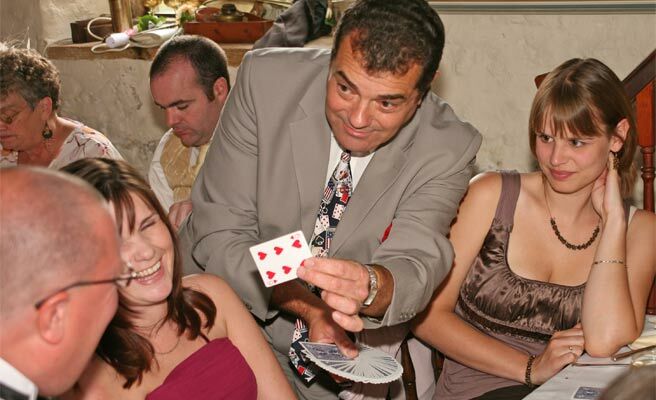 It combines expert sleight of hand, psychology and presentational skills that make it a flexible and informal way of entertaining people which is perfect for all kinds of events. 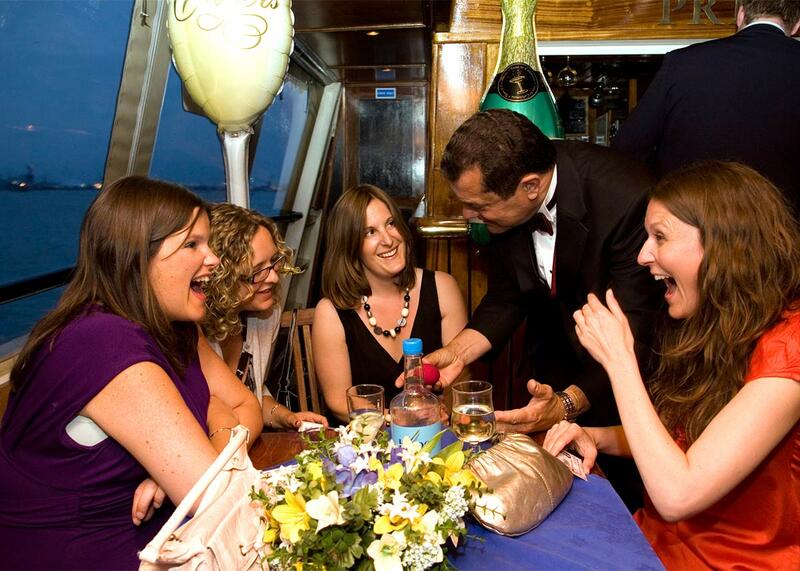 …at parties, weddings, dinners, banquets and receptions. People have their own personal show and can immediately talk it about with their friends. People love seeing the impossible happen so close especially when it happens in their own hands and sometimes with items that belong to them. …the weirdest things start to happen and objects start to appear in the most impossible places. Things jump from hand to hand and even into a helper’s hand! Paul’s expertise at card magic is always in demand and people stare in disbelief as cards instantly change in his hands and end up in his pockets! Paul is completely self contained and carries everything he needs on him when performing as a strolling magician. Watch the live video to see the sort of reactions happening at a real event. I’m cheaper than Dynamo or Derren Brown and there’s no TV production crew to pay for either!